High drug prices mean treatments are out of reach for many people who desperately need them. We’ve reported for years on the ever-rising costs of cancer drugs. And while there seems to be no end in sight to the spiraling costs of cancer care in the U.S, there’s recently been a lot of bipartisan buzz about how to curb drug costs. This webinar addresses whats behind all the talk and more with Vinay Prasad, MD, MPH, hematologist-oncologist with the Oregon Health and Sciences University. 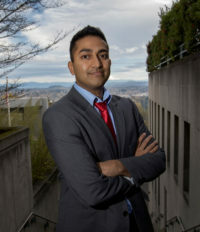 Dr. Prasad is nationally known for his research on oncology drugs, health policy, and evidence-based medicine. He’ll join us to talk about the cancer drug approval process and why drugs have become so expensive. If we’re going to combat rising drug costs, we have to know what’s really behind high prescription drug prices and what’s making cancer treatment drugs, like chemotherapy, so expensive for women living with and dying from breast cancer who may spend tens of thousands of dollars on drug costs during and after treatment.